Herm Sprenger Prong collar is made of Stainless Steel with a side release buckle. These collars are 100% rust proof. 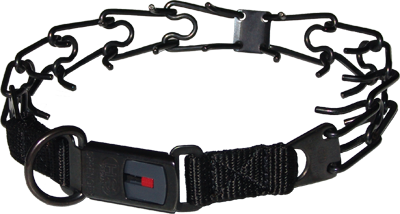 This buckle collar is easy to put on and take off with the side release cliclock buckle.